The National Waterways Museum, run by the Canal & River Trust and located in the centre of the historic Gloucester Docks, was recently refurbished and updated with a series of new galleries and exhibits. Celebrating the uniqueness of the River Severn and Gloucester and Sharpness Canal, they tell the stories of the people who lived and worked on the canal network which played a vital role in the supply of goods to the industrial Midlands. 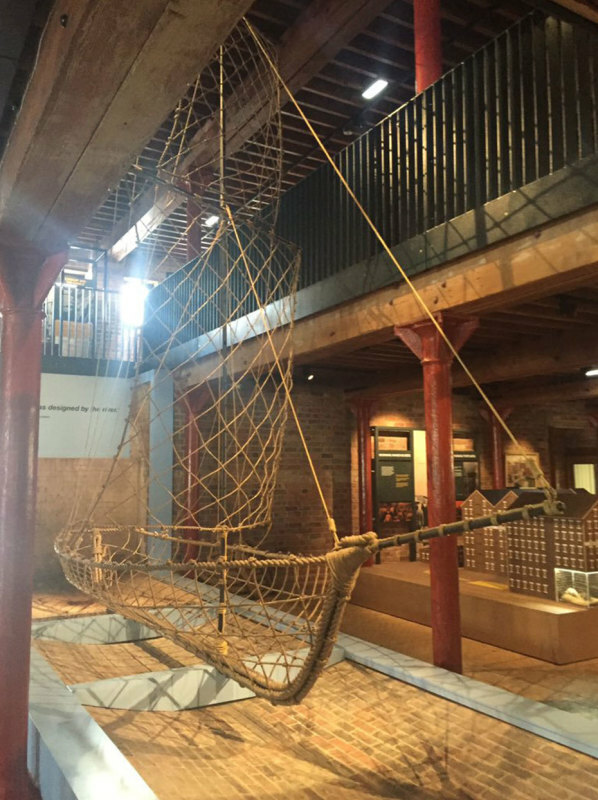 As part of the renovation, Cod Steaks worked with MER Services and NISSEN RICHARDS Studio to build a 6.7 metre long Severn Trow out of rope - 400 metres of 8 different types of rope to be exact! Despite the use of almost a quarter of a mile of rope in its construction, the trow is extremely light - weighing less than 100 kilograms in total. This aspect of the design, together with the sculpture being built as two separate sections, enabled ease of transport and installation. 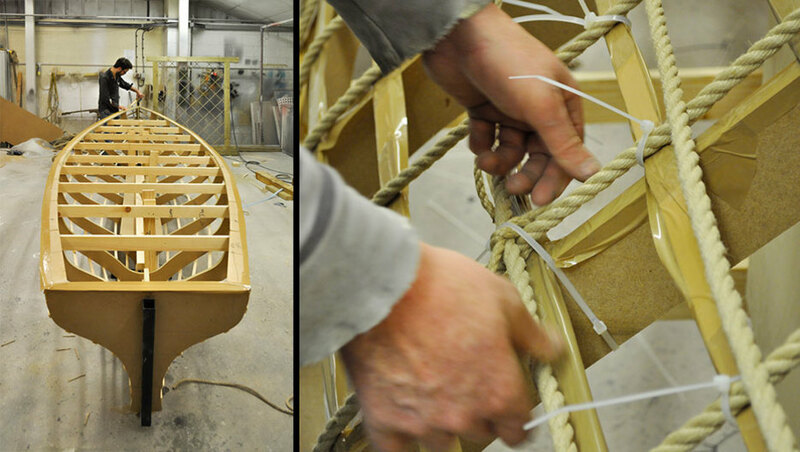 In order to ensure that the model was accurately replicated, a complete wooden structure of the trow had to be made to allow Cod Steaks's team to mould the rope around. In the run-up to the National Waterways Museum reopening to the public in July 2016, the Severn Trow featured on BBC Breakfast in a report on the refurbishment and new exhibitions. In addition to the Severn Trow, Cod Steaks built an interactive model of the historic docks, which included lightbox elements to highlight features on the iconic warehouses.